At first I thought, what a band name. If you hadn't guessed it sounds like Forbidden but 4Bitten. which will take some time to sink in and get used to. You'll fully appreciate the name though once you start listening. Here we have a fantastic Rock N Roll/Metal band from Athens, Greece whose interests are beer, music, beer, music, beer it seems as their facebook page describes. Don't judge a book by the name, yep it is a weird one but there are worse, believe me. However we have a killer band who know how to implement Rock/Metal into one (which for me METALLICA failed to do with “Load” / “Reload” in my honest opinion, but that's another story.) With influences such as METALLICA, (presuming the “Load” / “Reload” era) BLACK SABBATH, STONE SOUR, THIN LIZZY etc, I really heard those influences within and it all combined a nice Rock N Roll jam of true heaviness. Tasty. We begin the album with a quiet jam, unleashing the power of Heavy Rock into your eardrums. “Die In Vain” has a jazzy tone to it with the might of Heavy Metal built in, it's really quite well done. With great vocals from the gorgeous “Fofi Roussos” it didn't take me too long to get me into this new discovery. I always thought “Kobra Paige” and “Maria Breon” (KOBRA & THE LOTUS & HOLYHELL) were my female vocal heroes but a third one seems added! Very enjoyable vocals and instrumentation throughout there's not too many faults really, I really dig “Broke” and “Memory of Me” the vocals are really catchy and groovy with the timing, and just enjoyable in every way. The headbanging is strong too, I imagine the vocal strength of “Kobra Paige” a bit. Which is great. “Save My Soul” is another one, real fast guitars and heavy drums make this for one enjoyably great song. With a similar effect with “Cause I Can” which is one of those songs which everyone can enjoy and describes themselves as. “Pull Me In” is a groovy jam with a thrashy tone to it. Pretty cool. Then we come into the title track “Rewind And Erase” which slows things down a bit with the groove still intact. Pretty good stuff. 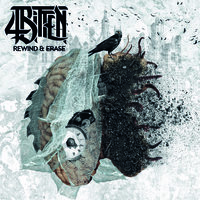 If I were to close this review now it would be that this album gets my respect as a Heavy Rock fan, “Rewind And Erase” is a classic in its own right and deserves a high rank and at least a few good listens. I can imagine 4BITTEN being a great Live band.